Forest Security, Inc. is the preferred choice of countless customers throughout the Greater Chicago Metropolitan Area who are looking for the best home security. We at Forest are known for delivering just that. For more than three and a half decades, customers in the region have chosen and stayed with us! Forest Security is a family-owned and operated company, and are well-known for not only standing behind our home security systems and products, but we also are renowned for offering the most exceptional customer service. Our customers are fully aware that we have always placed their total satisfaction at the top of our priorities. This is why Forest Security is customizes its security systems for each and every customer at the most economical prices. In addition, besides our outstanding customer services, we also provide the peace-of-mind our customers deserve. It’s no surprise that when our Niles neighbors are looking for the most efficient and economical wireless security systems, Forest Security is the only name they need to know. 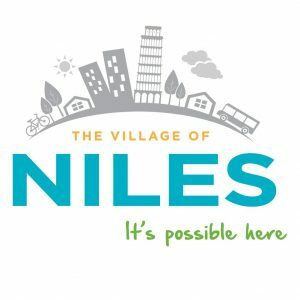 Niles has nearly 30,000 residents in Cook County. River Grove, home of Forest Security, is located approximately 8 miles southwest of Niles. Once a Forest Security wireless system is installed for our Niles residents, they are 15 times less likely to be burglarized. Forest Security also delivers a vast array of options so our Niles families will receive the precise security systems that will match up with their lifestyles… and their budgets. Furthermore, our technicians are recognized as having the talent and expertise to help Niles residents with the best home security systems for them and their families. We will guarantee that the home security systems we install suit all of the specifications of our Niles families perfectly! You can count on Forest Security to not only meet your expectations, but to exceed them. With our outstanding 24/7 response to alarms and our skilled technicians, you will never be disappointed in the high standards we set and the customer services we deliver. Prior to setting foot on your property, our technicians have had a minimum of five years of field experience. If you are out-of-town or out of the country, you can sleep peacefully knowing that Forest Security will be on guard, so you don’t have to be! Plus, you will never find anyone else who possesses the level of professional installation, technological updates, smart-phone compatibility and extraordinary customer support that we do. Now, isn’t it time to give Forest Security, Inc. a call at: (708) 452-2000 and ask for your FREE, no obligation, consultation and price quote?